TheRustedChain - The Blog: When you're broken. Did you feel like 2015 was unkind to you? Did it beat you down? Maybe it wasn't the entire year, but a few months. Maybe a few weeks. Maybe just the holiday season. If you're at rock bottom, feeling broken, you're not alone. I don't know why certain seasons of life are so hard. But they're just that - seasons. Maybe we reach such low places to enlighten us on how good the good really is. Maybe it humbles us and forces us to realize we need help sometimes. I don't know what it is. 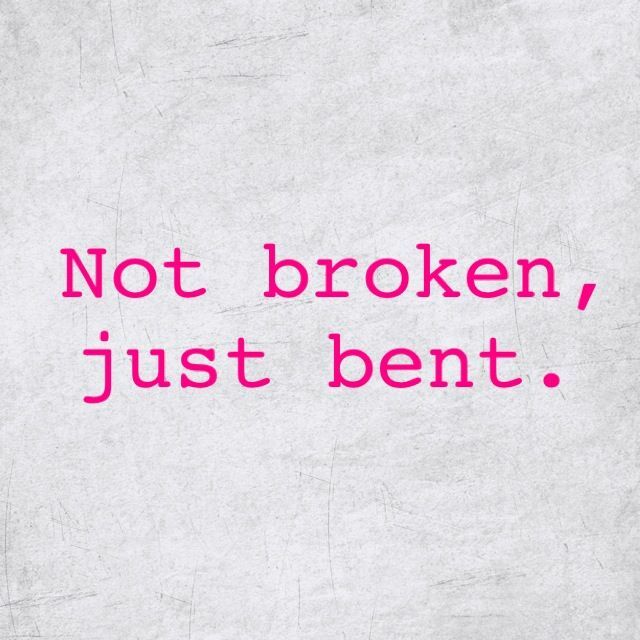 But know this: you're not broken, just bent. Things will improve and you will see the sun shine again. Your wings will carry you, even though right now it doesn't feel like they will. You've got this. Better things are so close, even if you can't see it now. This post spoke to me so deeply - I am still processing it. 2015 was a rough year for me. As I reflect back on everything that has happened and what I learned from the events, I realize that God never left my side; He will always remain and stand by me, even through the darkest times. Thank you for your words. God bless you for this post today - I needed a gentle reminder that I am not broke - just bent. I need to know the Lord has never left my side and never will - our God is a mighty God. 2015 has been a horrific year for me - but I look forward to moving into 2016 with new hope and new dreams. God bless each and everyone of you today and always. Merry Christmas.